On a cold September evening, me and my friend, Jeya were thinking about where we wanted to go for my Birthday and Christmas this year. As my Birthday falls on the 25th December, I was a little restless of doing the same thing every year. Going to family parties, cutting a cake, eating the same typical food, people wishing me for Christmas and forgetting its my birthday and worse of all, some people giving me one present instead of two which was really annoying. So I asked Jeya if she wanted to go away this year for my Birthday and we could celebrate Christmas and New year there too and the idea sold well to Jeya. We were soon thinking of ideal destinations. We thought of Singapore, Malaysia, somewhere in Europe, India and even Canada but we didn’t even consider our native country, Sri Lanka. After many if’s and But’s and what if’s, we decided to go with Sri Lanka. Jeya has never been before, and has started her own business venture, she thought it was ideal, as we would be killing two birds with one stone. As for me, I went in 2004, but A) I was a lot younger and B) I went with my family and did not actually see Sri Lanka properly except for visiting lots of families. And so it was confirmed, we were both flying to Bandaranike International Airport on Christmas eve for 3 weeks! I am sure I do not need to go into details about the kind of conversations that took place in my house prior to me leaving, but the tickets were booked and there was no going back. This trip was happening one way or another. Weeks flew by and the 24th December came around quicker than expected and we were all set to go. We left London Heathrow feeling both excited and anxious and not knowing what to expect. It was the first time, we were going after the conflicts in Sri Lanka and although we were both mentally strong, we were slightly concerned for our safety as we were two girls travelling to a country, which is not the idealistic destination for a girls holiday. None the less, we left and stopped over in Kuwait for our transit for a few hours, but in the nicest way possible, it wasn’t Dubai Airport so it wasn’t anything fancy. Finally we were on our connecting flight, and our final destination was Colombo, Bandaranike International Airport. The flight from Kuwait to Sri Lanka was roughly 5 hours and the clocks had struck 12 and half way during our flight, it was my 27th Birthday. Jeya had quiet words with the cabin crew and they gave me a surprise by cutting a small cake and singing Happy Birthday for me as well as presenting me with a kids watch as my gift! It was really nice of them and I did feel a little spoiled. So thanks Jeya! It was 5:25 am and we had arrived. I still remember getting of the flight and that hot air hitting my face as it was really warm and humid. We successfully got passed customs and immigration and our designated driver was on the other end waiting for us with a bouquet in his hands. But he was the manager and the actual driver was waiting for us in the van and he was one of he most caring and nicest humans I had met on my trip, but I will talk about him more later. During the three weeks we were in Sri Lanka, we were travelling around, covering allot of the main places in the country. It was a beautiful road trip. The first two days were in Galle, followed by a few nights in Kandy, then travelling up a little north to Matalay. After spending a night in Matalay, we drove towards our New Year Eve’s plan, which was in Pasikuda. New year’s day we took another road trip to Trinco and spent a few days relaxing in our beautiful resort with our own private pool. Finally the last 10 days of our holiday was in our mother land, Jaffna, where we shared lots of tears, laughs and met the most amazing people that we couldn’t ever forget. My Birthday turned out to be an unforgettable one and no lie, I cut five birthday cakes in one day and I even got to have dinner by the sea with my feet in the sand! Not forgetting to mention the hotel that we stayed in. Saying it was beautiful is an understatement. It was surrounded by breathtaking views and the hospitality of the hotel staff was just purely wonderful. They looked after us, like Family. If your travelling to Galle, whilst in Lanka, then I highly recommend “Villa Republic”. The rooms are massive and spacious and you do feel like a princess during your stay. The two nights we stayed there, we were taken care of and fed with the most authentic and delicious Sri Lankan food and Jeya even had the chance to cook with the chef and learn some trade secrets in the kitchen. 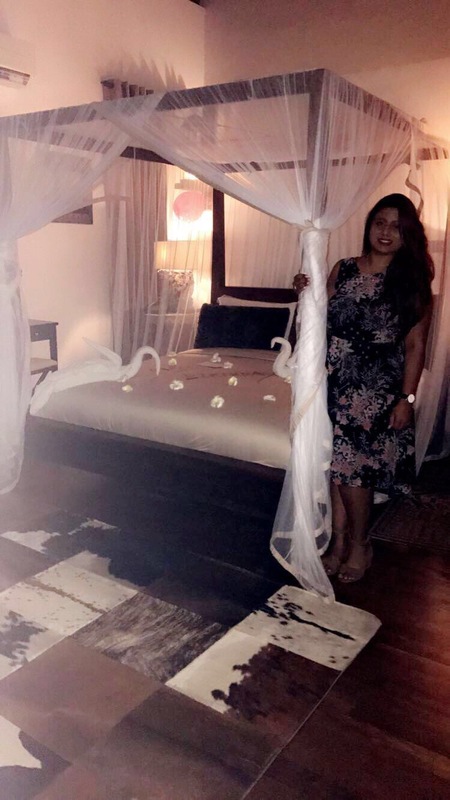 Following Villa Republic, we stayed in many other beautiful hotels, Yale Kandy, in Kandy, Amaya Beach Hotel in Pasikuda, and Uga Beach in Trinco. We were truly blessed to stay in these stunning resorts and thanks to Jeya for finding these undercover hotels. But I will go into the details of each hotel in another post because I personally think that everyone should visit these hotels. During our last 10 days in Jaffna, we stayed at Jeya’s family friends home, in a small area of Jaffna called Chundukuli. This home, and all the memories made will be cherished for ever. Beautiful bonds were made and we cried so much with laughter. In a short space of time friends became family. 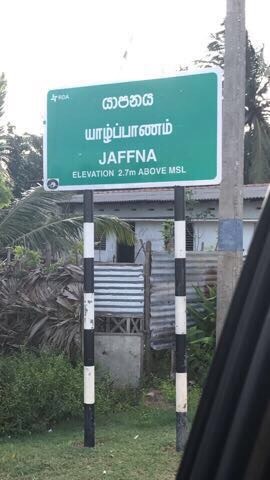 We visited so many different places whilst in Jaffna. The famous Nallur Temple, and Nainatheevu temple, met the remainder of my dad’s family in Jaffna, Saw the school both my mum and dad went to and even saw the home that my mum grew up in. We visited many different orphanages around Jaffna and always left feeling crap about ourselves. It definitely made me see life in a different perspective and taught me to be happy with what I have and since being back I have been more appreciative. It was definitely an emotional trip and at every orphanage we visited, we met such strong and motivating people, who all had a story to share, which made me rethink about things I consider to be first world problems. It was definitely an emotional trip. Overall Jaffna was a heart wrenching and unforgettable place, it was definitely not like my parents had said it would be, but then again they have seen Jaffna in a completely different dimension to me and I will never come to terms with the things they have witnessed and been through whilst they were growing up in Jaffna. But whilst I was there, I felt safe and everyone I met, treated me like one of their own. Even our driver, who we spent most of our time with whilst travelling was a gem of person and ensured that we were safe and comfortable at all times. Our safety was in his hands, (literally) and in return for looking after us so well we taught him how to speak English! We didn’t entirely succeed but the one thing he managed to get right each time was “can you hear me”! Time flew by quicker than anticipated and our holiday had come to an end. I flew back a few days before Jeya and when you’ve had an amazing time, like I did with great company, the thought of flying back on a 12 hour flight on your own was the most depressing thing. But it had to be done, and I landed back in London Heathrow, safely and all in once piece. My Sri Lanka holiday was unforgettable and having a great travel companion like Jeya by my side through all the ups and downs we witnessed was truly a blessing. Sri Lanka 2017 here I come….